I see you guys love to read about MMA Fighters on a vegan diet. Here is another one: Mac Danzig, kind of a cool name. Mac Danzig is American who was fighting in Mixed Martial Arts from 2001 up to 2014. Born on January 2, 1980. Mac Danzig is an excellent grappler, but he as well got some nice KOs with his striking skill. He won The Ultimate Fighter Season 6. On December 8, 2007, he moved to Ultimate Fighting Championship. Most people agree that UFC is the best MMA fighting championship. He’s recorded in MMA Fights are 21 wins, 12 losses, and 1 draw. He was a decent fighter. Mac Danzig retired at 34 years after being 13 years in the MMA sport. Since retirement, he said he would like to train future warriors, and he is training them, but so far no big name popped from his training camp. Actually, he doesn’t have a training camp and is mostly training anonymous fighters. But maybe shortly he will get lucky and get a talented fighter under his arms. Mac turned to a vegan diet in 2006. But he said that he started cutting out meat back in 2004 when he was trained by a vegan coach who helped him lose weight for next fight. Mac won that fight and went on a 12 matches winning streak. One time Mac said that he would like to drop the category because the guys in his class are too big. And they were too big for him because they are eating tons of meat and pumping them self with God knows what. It is true that if you turn to vegan diet, you will not have such large muscles. But even that is not wholly accurate because Jim Morris is the man who turned a whole bodybuilding community upside down with his vegan diet. What do you like best about being vegan? Knowing that I am doing my best as a consumer to not contribute to the awful industries of the world that cause so much suffering. 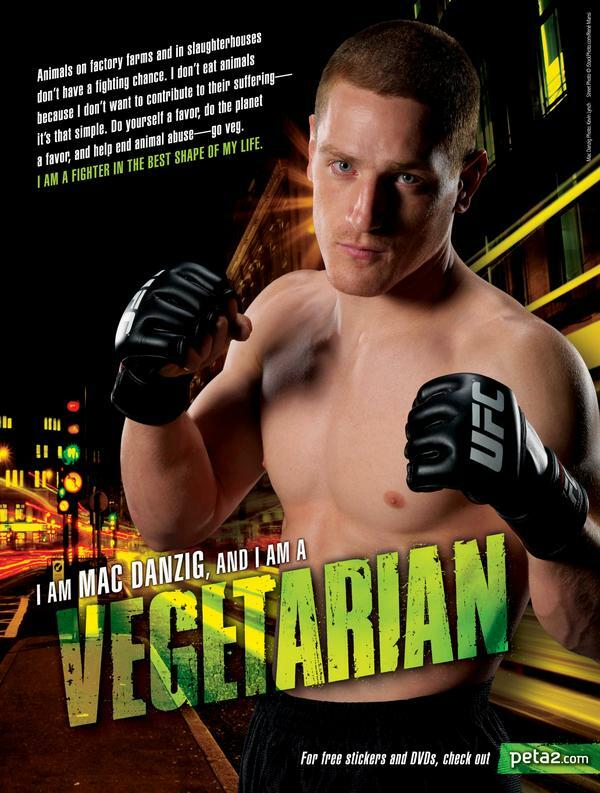 Mac Danzig is inspiring many people to cut down meat and other animals product by his actions. If he can do it and fight with badest and biggest guys, why you can’t do it? But Mac Danzig has a soft side as well. He is a semi-professional nature photographer. You can see some of his artworks here. You must check his macro photos, they are just amazing. Being vegan and working out every day and sometimes even two times per day is doable. The proof is Mac Danzig who is vegan for over ten years, and he don’t have any health related problems.